The X Factor finals: Which hopefuls made it through to the live shows? The X Factor judges have revealed which acts from their categories who will compete in the live shows from next week. On Saturday’s episode of the hit talent competition, Simon Cowell – accompanied by Spice Girls Mel B and Emma Bundle – whittled down the Girls category from seven to three. He named Gifty Louise Agyeman, Samantha Lavery and Emily Middlemas as the ones to beat in the live shows. Meanwhile, Louis Walsh, alongside Alesha Dixon and Fleur East, selected Groups The Brooks, 5AM and Ottavio & Bradley to go through to the live shows. On Sunday, Overs mentor Sharon Osbourne, who was joined by Robbie Williams, made the most controversial choices of the Judges’ Houses. She selected wildcard Saara Aalton, who “bored” Williams, Ivy Grace Paredes’ replacement Honey G and Relley Clarke for the live shows. Nicole Scherzinger also selected a wildcard entrant in Ryan Lawrie for the Boys category, as well as Freddy Parker and Matt Terry. Over the course of the episode, Terry bonded with Scherzy’s assistant Calvin Harris over heartbreak as he pushed for the place in the live finals. The 12 contestants will now compete in weekly live shows from this Saturday (October 8), with at least one hopeful evicted from the competition by popular vote every Sunday. 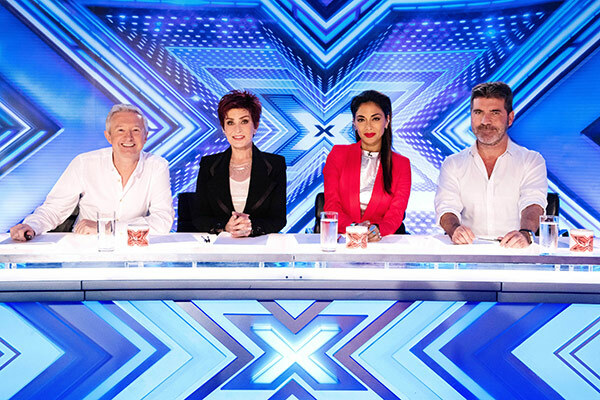 The X Factor continues this Saturday on ITV at 8pm.